Yorkshire puddings and butter tarts—oh yum! | Where to next? 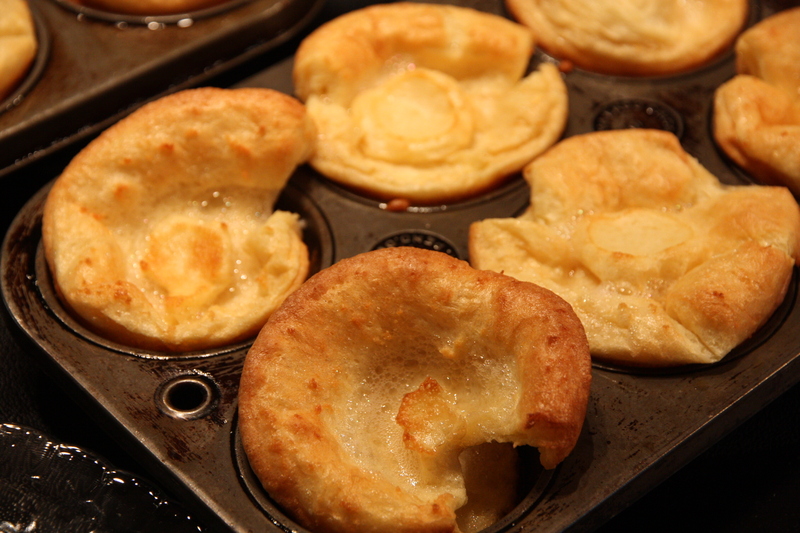 Yorkshire puddings and butter tarts—oh yum! I just wrote about our breakfast in Bogotá, and it reminded me that I’m way behind on recounting some of the meals we’ve had on our recent travels. I cooked most of a dinner at my sister Susan’s in Oklahoma and have already posted the brownie recipe on What’s Cooking on Page 32 (more to come from that night). Also cooked a page-32 feast at my friend Carol’s place in Nebraska. Have posted the lime cheesecake recipe and have lots more page-32 choices to go. But I’m talking about food I haven’t cooked—food made for us or food we bought. So I’ll do a few posts about some of these. I’ll start with the Yorkshire puddings Wayne made. Wayne and Leslie were our second stop in Canada (outside Toronto) and we started our stay with them with a trip to a play. The next night was set aside for food, food and food. Leslie and Wayne are caterers (I know how to pick good friends). I first met Leslie about six years ago on RecipeZaar.com (now called Food.com). 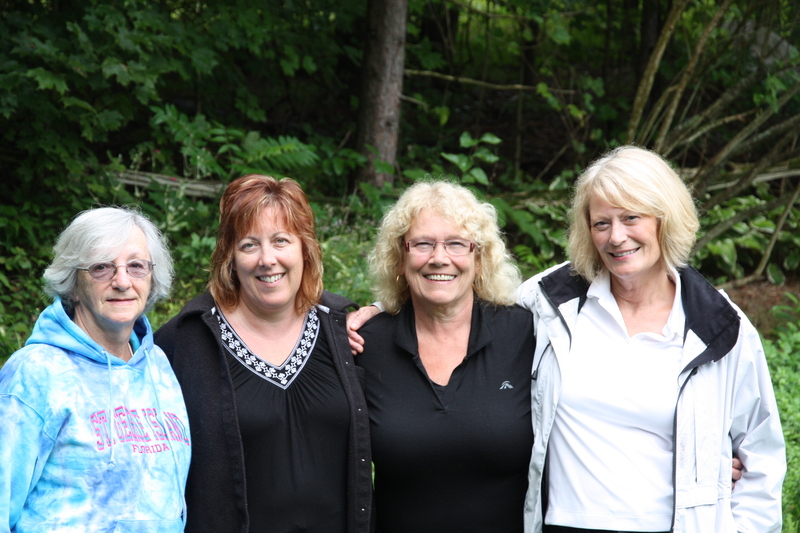 As part of their wonderful and generous hospitality, they invited over a few Zaar friends in Ontario so we could meet in person, gossip, laugh and eat too much. Oh boy, did we eat too much. Lesley (yes there were two, but with different spellings) brought two starters—hummus and toasted pita chips plus tomato, basil and bocconcini on skewers—which we demolished. Then on to prime rib, an array of salads, those amazing Yorkshire puddings and dessert. 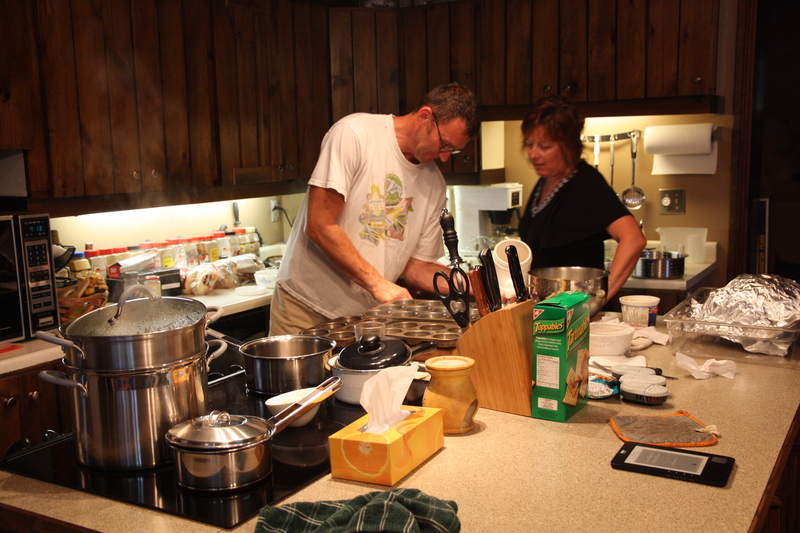 Wayne and Leslie really wouldn’t let anyone help, but I still managed to barge into the kitchen and snap a few pics. We finished off the meal with the dessert brought by Marg—sensational butter tarts. These bite-size gems are like little pecan pies but without the nuts. Marg brought ones laced with raisins. Butter tarts are a Canadian icon and I have to learn to make them when I get home! Thanks to everyone for a fantastic evening in every way. We had another Zaar lunch the next day with a different group. We had an afternoon of laughs, gossip and food (in a Toronto restaurant). Stay tuned for an item on that event and check out the one on Wayne making poutine—another Canadian classic. And if anyone in Ontario is looking for a caterer, check out Wayne and Leslie’s business, Charcoal Gourmet, on 905-983-9056. Butter tarts—yum, yum and more yum. What extraordinary good luck that you know so many accomplished cooks around the world. Send butter tarts. I’m hungry for them too. How could I not mention the catering after all the yummy food we had? Loved meeting & spending an afternoon/evening with you Aussies! 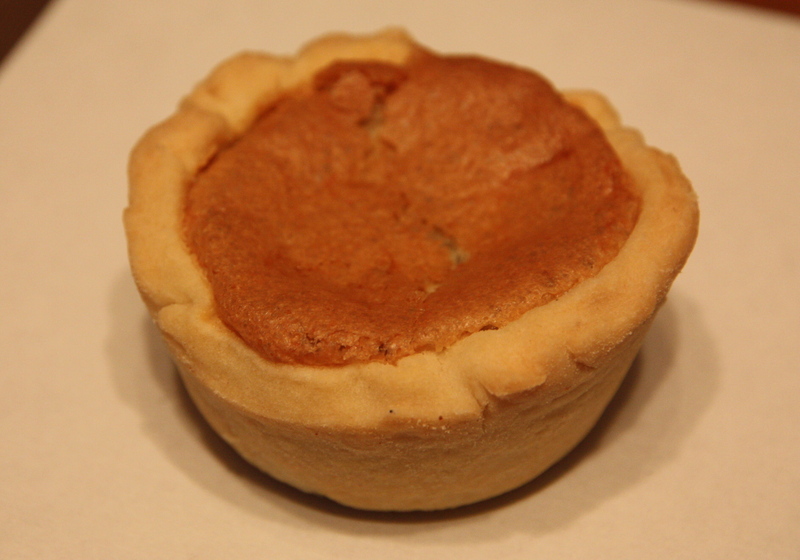 When you get back home in your own kitchen, you’ll find my daughter’s recipe (#225426) for butter tarts on ZAAR. She & my granddaughter (Alyssa) won 2nd place in a mother/daughter contest at the Toronto Food Festival a few years ago. I looked after the presentation with butterflies, hence the recipe name: Alyssa’s Butter-Fly Tarts. Enjoy!!! Oh wow Marg, thanks for the link to your daughter’s butter tart recipe. Love the recipe name. I’m already hungry for them. Butter tarts are absolutely heavenly! They sure are. Maybe I’ll make some this week. They look like such a hassle to make! Are they a time-consuming treat to bake? I have to confess that I’ve never made them, but I have some recipes. They shouldn’t be too hard. Local play has full house and outdoor setting « Where to next?